Our early 2019 Market Report provides a recap of real estate sales throughout the four counties in northwest Vermont: Addison, Chittenden, Franklin and Grand Isle. In addition to residential real estate sales, we look at results and trends in luxury & multi family home sales – as well as land sales throughout the region. Low inventory continues to be the story in the local and national housing market. Properties coming on the market for sale have been in short supply for a few years resulting in fewer closed sales while demand remains strong. Steadfast price growth for single and multi-family homes in northwest Vermont is good news for sellers – and has challenged some first-time home buyers who were caught in multiple offer scenarios in certain hot price points and locations. 2018 was a volatile year for the stock markets – with the DOW, S&P 500 and Nasdaq all ending the year lower than they started – the first time that has happened since 2008. Having said that, the markets spent most of 2018 climbing rather than falling- with never before seen heights. While the markets ended down -the overall economy soared. The economic expansion has been driven for years by historically low interest rates. After a several adjustments in 2018, the federal reserve is less eager to raise rates at the same pace and has already trimmed its forecast for expected rate hikes in 2019. Most experts project an average of 5.25% by the end of this year. While interest rates have risen slightly– they are still relatively low. And consumer spending is thriving. These are indications of a healthy economy for 2019 – even if not at the same pace as before. The federal government shut down has impacted the economy as well as the housing market – with furloughed government employees unable to provide a recent pay stub in order to prove current employment to mortgage lenders resulting in delays or cancellation of some home purchases. The full effect remains to be seen. The overall trend in home sales has been positive since 2011 on a national and local level. In some larger markets across the country markets have begun to slow however Vermont benefits from relative stability with moderate growth year over year. The National Association of REALTORS’ Chief Economist, Lawrence Yun, cites home price increases moderating in 2019. Tight inventory conditions remain an ongoing concern that will keep prices relatively elevated, but stable. New construction projects may ease the shortage somewhat, but the need for affordable homes is not being met. Builders face challenges in land, permit and materials cost as well as shortages in labor which has been putting the price of new homes in the area well above $400,000. Some communities are challenging new developments, with neighbors raising concerns about the loss of green space and wildlife habitats. The quality of life that draws people to Vermont needs to be carefully balanced with the cost of living in our beautiful state. Millennials make up to 45% of the home buyer market and affordability is a factor. Heavy student loan debt and changing interest rates affect purchase power. For a $300,000 loan – a 1% increase in interest rate equates to an additional $178 per month to the mortgage payment. Working with a local lender – with a common-sense approach to underwriting – will benefit purchasers navigating this market. With most home buyers purchasing property for lifestyle reasons, many are quick to recognize that buying a home is a way to build wealth in the long run. 2019 will remain a Seller’s market in most of the region, with a true “buyer’s market” not on the immediate horizon due to limited inventory, increasing prices and interest rates. Buyers should not stay away from the housing market especially if they are at point in their life where they are ready and able to buy. Buyers who have watched from the sideline and now fear missing out on their dream of home ownership – or risk facing higher finance costs to do so – should act now! They may face less competition early in the season and sellers may still realize a gain on their home sale. This should be a cue for potential sellers to enter the market early in 2019 – rather than waiting for the typical height of the market in the Spring. Buyers and sellers alike should have these best practices in mind: identify your wants and needs, learn about the market, form reasonable expectations, perform your due diligence, and be prepared to act – with the assistance of a skilled and trusted Realtor. Limited homes for sale continue to be the story across Chittenden County. With new listings to the market declining 3% over 2018 – units sold also dropped. This resulted in a median price increase of 5.6% for single family homes. The number of Condominiums available for purchase showed a healthy increase as some owners took advantage of a seller’s market and sold their entry level condos in order to move up to a larger home. Builders introduced new condominiums & townhouses to the market, offering easy maintenance and the “right size” floorplan for new families and empty nesters. 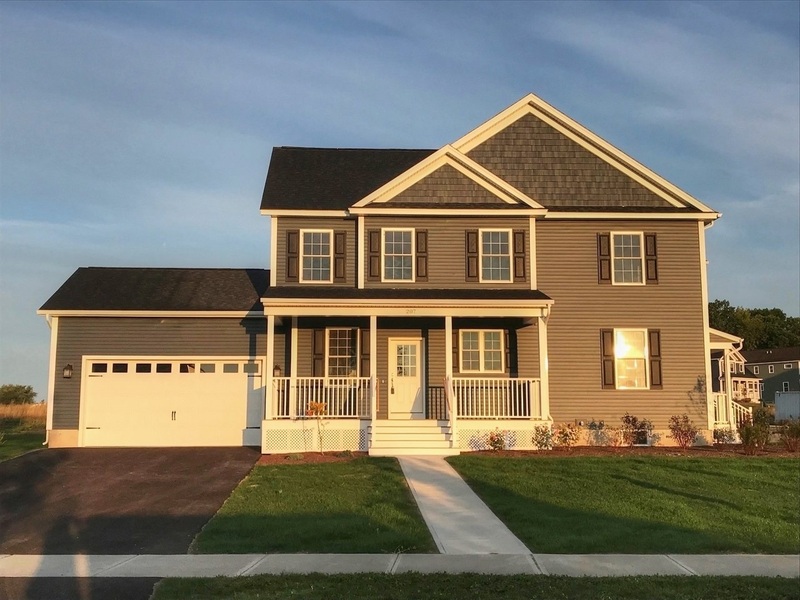 In South Burlington, Hillside at O’Brien Farm launched in March with 12 single family and townhomes closed and many more reserved or under construction. South Village, off of Spear Street, looks to finish the build out of phase 2 in 2019 – and possibly offer homes in phase 3 subject to permits. Winooski continues to draw buyers with a revitalized downtown & walkability to restaurants, shopping and recreation. Multiple offers on single family homes from excited buyers pushed the median price up 18% – nearly the largest increase across the county. A number of resales in the Cascades Building along the Winooski River resulted in a 44% surge in the median price of condominiums in the city. Multi Family properties were in high demand while inventory was extremely tight. Investors need to move quickly when a property becomes available. The super-hot investor market shows no sign of letting up as the number of properties sold increased by 19% while inventory remained scarce. Low supply and heavy demand pushed the median sale price up nearly 14% across the market. Chittenden County, accounting for 68% of the total multi family sales in northwest VT, saw an average sale price of almost $520,000 – driven by some high-priced sales in Burlington. Some long-time investor owners are deciding to part with portions of their portfolio to realize price gains – while new investors to the market need to be well qualified and ready to act if an opportunity presents itself. Despite newer apartment complexes becoming available over the last couple of years- and a number of new projects on the horizon – the vacancy rate for rentals remains low as compared to the national average. Demand from renters remains strong likely due to the shortage in inventory for first time home buyers – and the demand of college students in downtown Burlington. Positive job growth in Chittenden County also contributes to the strong demand. Land sales across northwest Vermont showed a healthy increase over 2017. With inventory of homes for sale declining year over year coupled with a strong seller’s market – many buyers are turning to land purchases to build a custom home. Addison County closed nearly the same number of land sales as Chittenden County – but at a more affordable median price of $70,000. With an increase in sales and a decline in new land listings to the market, parcels that have been for sale for an extended period of time are being absorbed. Developers are looking for land in key locations to satisfy the demand from potential homeowners looking to down size or right size their lifestyle. Still, land owners can plan on nearly a year, on average, for a property to sell. Luxury Home sales in Northwest Vermont have continued to increase over previous years. While 2 additional properties sold in 2018, there has been an overall increase of 71% in units sold since 2015. The median sale price increased by 4.4% with the average sale price declining for the second year in a row. Nationally, the luxury market has slowed a bit but Vermont remains one of the most affordable luxury home markets in New England – which may be bolstering sales here. Local lenders report that Jumbo loans remain remarkably competitive offering favorable options for the cash buyer. The months supply of luxury homes for sale has declined over prior years – which is good. While supply varies seasonally, it was at a low of 10 months and an average of 13-14 months during 2018; still a buyers market. Having said that, a number of homes that sold in 2018 went under contract within a few days – demonstrating there are buyers looking for homes with updated floor plans and amenities. In Chittenden County, where 29 luxury sales were closed, buyers purchased homes in downtown Burlington, on spacious lots with views in Shelburne, along the popular Spear Street in South Burlington as well as on the Lake Champlain shore. Grand Isle proved a draw for luxury buyers with 10 homes closing in 2018 versus 3 in 2017. The lower tax burden in Grand Isle is a contributing factor although the easy drive to Burlington coupled with the island vacation vibe likely contribute to the overall appeal. *For this report, the Luxury market is defined as Residential sales $850,000 and above. Leaves fall from the trees, boats come out of the lakes, and hunters head for the woods. Welcome to fall in northwest Vermont, and welcome to our Fall 2018 Market Report, January – September 2018. Each quarter, we combine the Multiple Listing Service (MLS) data with the expertise of our agents to offer a recap of real estate activity and trends in the 4 counties of northwest Vermont: Addison, Chittenden, Franklin, and Grand Isle. Our skilled REALTORS can help you with more specific price points in certain cities and towns. Given our market leading position, we are committed to providing unparalleled service to our clients. The data through the end of the 3rd quarter is significant in that it includes closed sales for the busiest segment of the year. Traditionally, the “height of the market” is considered late spring through summer. The ongoing story in the national and regional market is the contraction of inventory for sale, so it is remarkable that closed sales through the 3rd quarter faired as well as they did. Closed sales of Single-Family homes remain flat across the region while sales of condos, land and multi-family properties show healthy increases over the same period last year. The median price of sold, single family homes continues to rise while prices of Multi-Family homes surged as investors clamor for properties in a tight market. With mortgage interest rates increasing recently – and additional increases expected, sellers and buyers would be wise to stay in the market during the 4th quarter of 2018 and 1st quarter of 2019, while properties may be in the most demand and at their most affordable. With record lows for Single Family homes available for sale and strong buyer demand – homes are on the market, on average, for only 2 months from list to close. The median and average sale prices continue to post healthy increases across the county. Condominiums are a popular choice among buyers interested in ease of maintenance and more affordable pricing compared to single-family homes. The number of condos sold through the 3rd quarter continues to rise as many newly listed options come on the market. The large majority of multi-family sales across the region are in Chittenden County. An 8% decrease in available properties, coupled with a 32% increase in closed sales drove the median and average sale prices up 11.5% and 22% respectively.